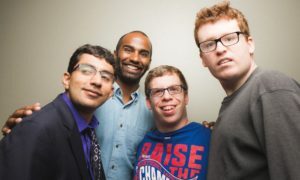 Center for Independent Futures partners with agencies that strive to create a society enriched by the inclusion of individuals with disabilities. Club 21 Learning and Resource Center, located in Pasadena, California, is an educational learning center that provides tools and resources that enable individuals with Down Syndrome to be fully included. 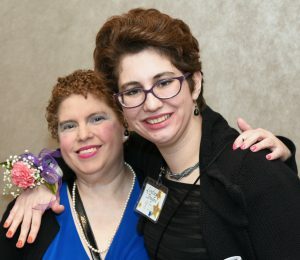 As her daughter approached the end of her high school career, Club 21 Executive Director Nancy Litteken was desperately searching for person-centered tools to support Molly’s independence. It wasn’t until well into the early hours of the morning when Nancy discovered our work through an exhaustive internet search. She spent time reading through the Center for Independent Futures website, including our My Full Life online application. An entirely person-centered approach, Nancy wondered if My Full Life might be exactly the tool she was looking for. To turn hopes and dreams into reality, our My Full Life process provides structured tools such as the Skills Inventory to help families develop a roadmap to independence. “You don’t know what you don’t know,” reflects Nancy. This realization led Nancy to go a step further with My Full Life by seeking our Skills Inventory certification. Learn more about My Full Life and how your agency can get started with person-centered approaches today! Fill out the form for more information on our School & Agency page to hear from a consultant soon. Next Next post: Ignite Dreams at SPARK With Us! Which emails do you want to receive? Regardless of your expertise or experience, giving of yourself can change lives for the better and create new possibilities for those with disabilities. Your tax-deductible contributions help us provide life-changing services, develop innovative solutions, and increase community education and outreach.